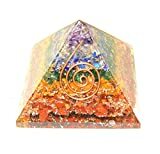 The Chakra Crystal Orgone Pyramid has crystals and stones layers ordered according to the chakra centers of the body where each stone is believed to open and enhance the energy in the bodies corresponding chakra. Energy rises throughout the system becoming finer and more in tune with our true self at the crown chakra. The Reiki symbol as shown left is similar in appearance to the accumulator in the Chakra Crystal Orgone Pyramid. The colors of the chakras are set in the Chakra Crystal Orgone Pyramid from the base to the crown at the apex. To see more about Chakras in an orgone obelisk pyramid that is also structured around our chakra system, see the post on the Orgonite 7 Chakra Stones Rainbow Orgone Pyramid Obelisk here. ORGONITE 7 CHAKRA LAYERED PYRAMID Everyday Use of this Orgone Pyramid. Place your Orgone Pyramid in your living spaces; where you work, sleep, and live. It will keep the energy clean and healthy. We have found that they are most effective when one flat side is facing magnetic north. Although it still has a measurable effect up to 25 feet away, by placing them within 3 feet of yourself, you will experience optimal benefit. Occasionally place them in direct sunlight. This makes them many times stronger. I’ve been told they radiate more “light”. 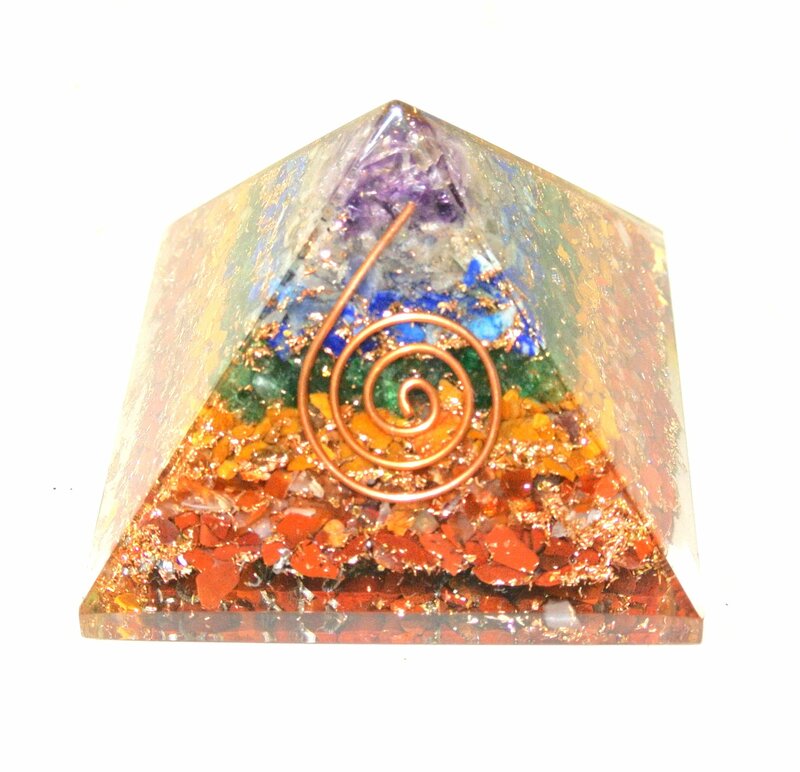 The Chakra Crystal Reiki Orgone Pyramid is 2.35″ (60 mm) on the base by 2.56″ (65 mm) high. chakra, chakras, crystals, meditation, Reiki. Bookmark. This is my first time to visit here and I genuinely enjoyed reading all this information in one place.